Barnton Community Nursery and Primary School prides itself on opportunities for all. 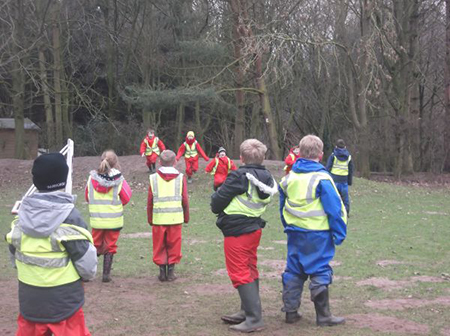 Therefore Mrs Scott takes children out for Forest School sessions, so as to inspire children to achieve their full potential through stimulating outdoor experiences. During Forest School sessions Mrs Scott provides children with the opportunity to practically learn about the natural environment, to handle risks, to ask questions and think critically about their discoveries, co-operate with others, develop their social skills, grow in confidence and become self-motivated to make their own judgments. The outcome of these developments is that these skills are then not only transferred to other areas of the curriculum, but to areas of the learner’s life enabling them to achieve their full potential.